Offering amazing customer service is important if you want to retain customers and grow your businessToday’s customer service goes far beyond the traditional telephone support agent. It’s available via email, web, text message, and social media. Many companies also provide self-service support, so customers can find their own answers at any time day or night. Customer support is more than just providing answers; it’s an important part of the promise your brand makes to its customers. 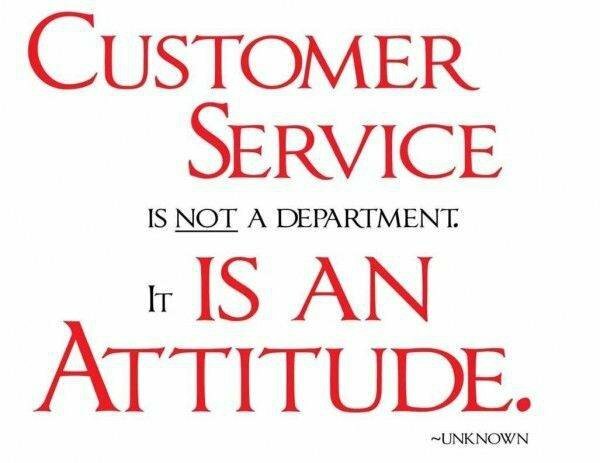 Why is customer service important to the success of your business? The short answer is - Customer service is critical to competing effectively. In the past, people chose which companies they did business with based on price, or the product or service offered, but today the overall experience is often the driver. How do you rate your business' customer service? Would you deal with YOU again if you were a customer? How are your staff dealing with your clients? If you find that you need to polish this side of your business, come and join us for an afternoon of lessons well worth the investment.